Should I Call an Emergency Dentist for a Lost Filling? Is it a dental emergency if I lost a filling? It’s the New Years Weekend and I don’t really fancy spending it in the dentist’s office. What??? You don’t want to ring in 2018 from a dental chair? I can’t imagine why not. What could be more invigorating? In the case of a lost dental filling, you have a couple of good options. Before I give you those, let me tell you what not to do…ignore it. If you don’t do anything bacteria will get into the newly created space and blow up into a tooth infection. Depending on how fast-moving everything is, you could spend the beginning of the New Year in the hospital. Besides, having a hole in your tooth will not allow you to enjoy all the New Year’s Eve goodies the way you could if it were filled. I know. I know. You said you didn’t want to go in. 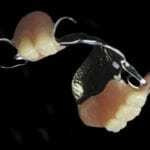 But, seriously, a filling takes hardly any time and you’d be back to normal without this weight on your back of having to go to the dentist’s office at some very near date. Who wants to spend New Years dreading the New Year? 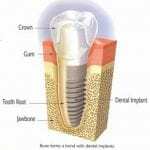 Replacing a filling is normally quick and painless. However, the dentist will want to investigate to find out why the filling came out in the first place. You’ll especially want to make sure there’s no new decay developing which could sabotage your weekend plans. Some pharmacies stock a temporary dental filling material. This will NOT actually replace your filling and is designed to be temporary— a few days at most. But, it could hold you over through your parties, etc. Then, first thing January 2nd, you’ll really need to get in to see your dentist. No excuses. If you put it off, you won’t be looking at a filling, but rather a dental crown or tooth extraction. That is definitely not how you want to start the year. Are CEREC Crowns Causing My Gum Problems? I had a CEREC crown placed a week ago. My gum is still hurting and it’s bleeding. How long until this gets better? If there’s any swelling, I’d suspect an infection. Hopefully, your dentist suggested you do saltwater rinses. If not, do them for a couple of days and see if that improves things. If there’s any swelling or if the pain increases, go immediately to your dentist to check for an infection. It’s most likely your gums are irritated from placing the CEREC crowns, which can happen with any type of crown. 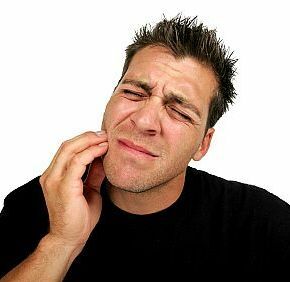 It’s common for patients to have a little more difficulty getting between the teeth on restorations. If that’s an issue for you, it could be bacteria flourishing. If that’s the case, it’s an easy fix. Try switching to a floss pic for a bit until you get used to getting between the crown. It should improve soon if there’s no infection, especially if you keep doing those rinses several times a day. When Can We Stop Going to the Dentist? We’ve always been very diligent about going to the dentist. Our children have never had cavities. Recently, my husband was laid off. Is it OK for us to skip the dentists for a while, just until he’s found a new job? I understand your question completely. Here in Louisiana, the oil industry as been hit pretty hard and a lot of people are without work. One of the things dentists tend to notice is that when people try to save money by skipping their check-ups and cleanings, they end up spending more. Here’s why. Especially in children, things can change quickly with the condition of teeth. Without regular check ups, early warning signs of decay are likely to get missed. That means more extensive (and expensive) treatments are necessary. My suggestion, during this time of financial difficulty, is to talk to your dentist and work out payment plans. There are even no interest payment plans. Dentists want to help people. Communication is the key. Why doesn’t my CEREC crown match? I’ve had crowns placed before and they’ve always matched my teeth. My new dentist uses something called CEREC crowns. When he placed it, it doesn’t match. Is that an issue with CEREC crowns. He said it’s made of porcelain. Is that why it’s much whiter than my other teeth? It’s not that you’ve got a CEREC crown that is causing it not to match. It’s more that your dentist didn’t match them. Porcelain can be made to any color your dentist needed, so the material isn’t the problem either. You have a few options. One is to leave it as is. But, if you wanted that you wouldn’t have been writing me in the first place. The next is to have the rest of your teeth whitened to match the whiter CEREC crown. The problem with that will be your toher crowns. Teeth whitening only works on natural teeth, so your crowns will not whiten. You would have to have them re-done to match your new crown as well. Your final option is to see if your dentist would be willing to re-do the crown to better match your current natural color. I realize none of these options are that great. It’s important that when it comes to any type of cosmetics you go to a dentist who not only has the technical skill, but an artistic eye to match your teeth. Can I whiten a dental crown if it is old? My crown is turning beige. So are my teeth for that matter. I know I can whiten them, I was just wondering about the crown. A dental crown, or any other dental restoration, cannot be whitened. Only natural tooth structure is whitened. That doesn’t mean you can’t have white teeth. What it will mean is doing professional teeth whitening and then getting a new crown. Make sure you go to a dentist that does an all porcelain crown. It will be much more beautiful than a porcelain fused to metal crown. Can I switch to invisalign if I already have glasses? I’ve got regular braces, but I hate them. They hurt all the time. They keep catching on my lip and it bleeds. Is it too late for me to get invisalign because I’ve already got braces. My mom says its probably too late, but I wanted to check. It’s not too late. Your dentist can still give you invisalign, if your bite is a good candidate for the procedure. I’d have that checked before you seriously consider having your braces removed. You don’t want to remove them only to have to put them back. Most people find Invisalign to be much more comfortable than traditional braces. You certainly won’t have to worry about it cutting your lips. 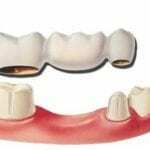 It will be important you wear the aligners for the amount of time required or the treatment will be ineffective. How will dental bonding fix my gap? I have a tooth gap that is a little over 1/2 a centimeter. My dentist said he can fix it with dental bonding. How will that fix it? Wouldn’t that make my teeth really wide? Will that look attractive and I just can’t picture it? Over 1/2 a centimeter is quite a large gap. In fact, you can fit a small tooth in that size space. Unless your teeth are unnaturally narrow, I don’t think adding in that much structure will make your teeth look normal. Tooth bonding (or dental bonding) is generally a good way to close a tooth gap, but it has to be a small gap. I’m not sure your dentist is the one to do it. You seem to have more of a sense of aesthetics than he or she does. That isn’t a good sign. You don’t want your basic family dentist to do serious cosmetic procedures. These take additional post-graduate training. You also want someone who has an artistic eye. If you’re serious about closing your gap, I’d look into Invisalign. It will actually close the gap and almost any dentist can perform this.